An examination of human development across the lifespan with emphasis upon research, theoretical perspectives, and common physical, cognitive, emotional, and social developmental milestones. 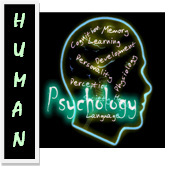 The course covers material that is generally taught in a postsecondary, developmental psychology or human development course. This dual credit course is one year spanning two semesters earning a full credit. Couse is designed for grades 10-12.